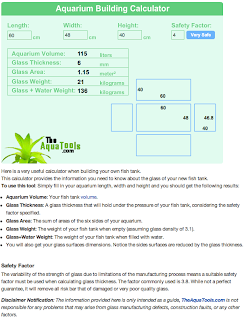 So, I posted on the New England Maker Group's page about a device I am now working on that will eventually control every aspect of my soon to be built 115L freshwater tropical aquarium and 95L sump (although I'm thinking I may just make two 115 litre tanks for both the aquarium and sump). I call it the ArduQuarium Controller! I will probably end up with only three of those Atlas Scientific water quality sensors, as I won't any time soon be delving into marine (i.e: saltwater) tropicals, and the Mega can only accommodate three of them (but I will try and make it easy to swap a sensor out for another should the need arise in the future). The three sensors that are useful to me (pH, DO and ORP) will be housed in the return water chamber of my sump filter, along with one of the thermal probes, UV steriliser and the heating element. The other thermal probe with sit in the main aquarium and the Arduino will monitor the two and attempted to bring the sump temperature up if the aquarium needs more heat (I'm thinking of utilising a PID program, along with a schedular so as to get everything to work when it needs to). The relay control boards from SparkFun are there to make controlling the heating element, filter pumps, air pump and a water change pump much easier. The Arduino Mega's firmware will have provisions to initiate a partial water change based on data collected from its sensors and the ballcock will shut things off when it reaches a predetermined level. Although to start with I'll just be using a single relay controller and a thermal probe to control my current aquariums' heating element based on collected temperature readings to keep the tank a constant temperature. 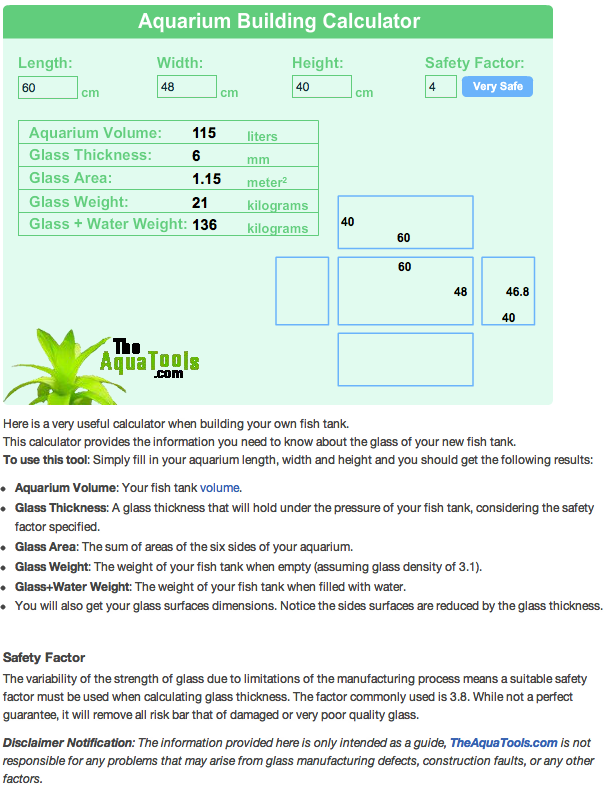 My figures come from TheAquaTools.com's Aquarium Glass Thickness Calculator and DIY Fishkeepers calculators. This is all just a rather large experiment for me as I'm new to the hobby of aquaria. I will not be stocking this setup heavily, the aquarium will likely only have a small contingent of Corydoras in situ while the tank, sump and controller come together. Wish me luck!